Muslims around the world celebrated Islam’s biggest holiday, Eid al-Adha, or the Feast of the Sacrifice, commemorating the story of Ibrahim and his son Ismail (in the Old Testament, Abraham and Isaac). 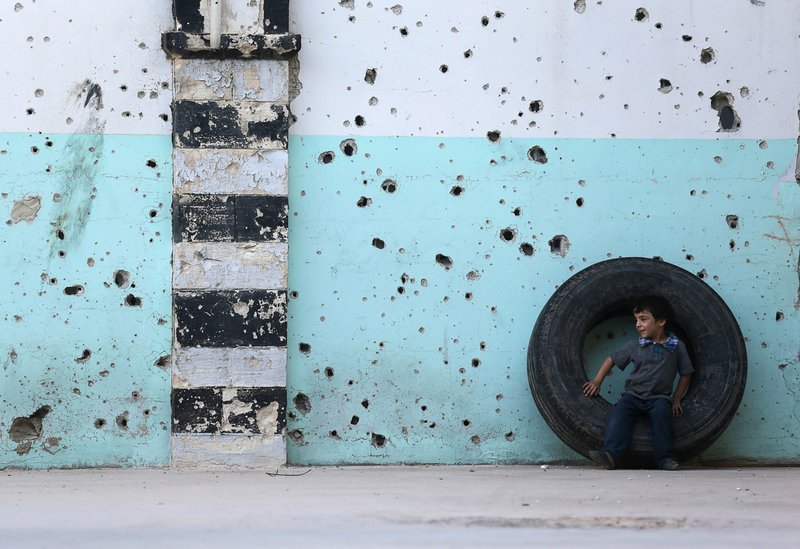 Here, a boy stands in front of the bullet-riddled facade of a mosque in Damascus, Syria. The war consuming the nation is well into its third year.